When it comes to digital transformation, architecture matters. Pega offers our clients more than just a vision of digital transformation. We offer a proven path to turn that vision into reality. We don’t sell a cartoonish promise of “no software.” We love software. We understand how hard it is to get enterprise software right. And for over 35 years, we’ve shown our clients that you can get it right, and that the results you can achieve are well worth the effort. 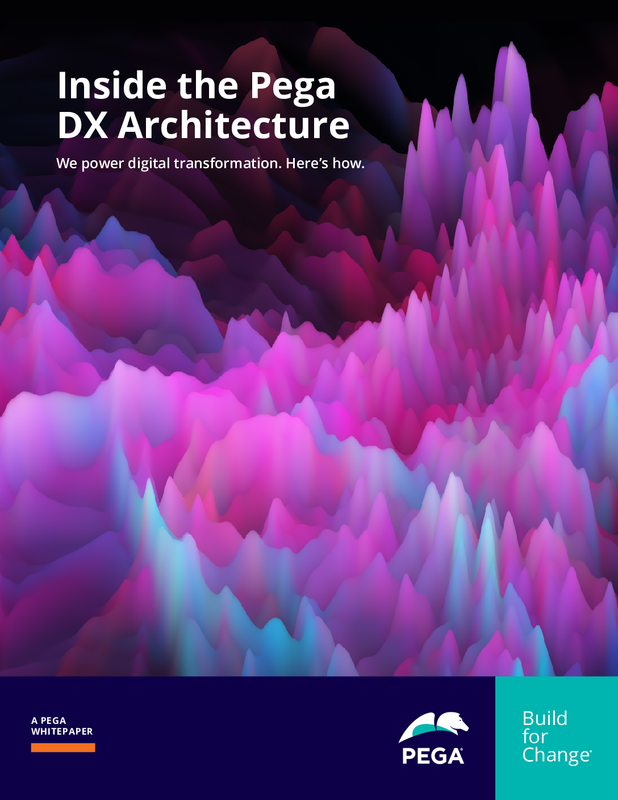 The Pega DX Architecture™ is the foundation of how we help you deliver those results. Download the white paper to learn more. Everyone's talking about digital transformation, but not everyone is getting it right. See how your enterprise can avoid common mistakes and gain a competitive edge.